Research shows that 80% of all dirt, grime, and moisture comes in through your entryways, making properly maintained entrance mats your first line of defense against contaminants. 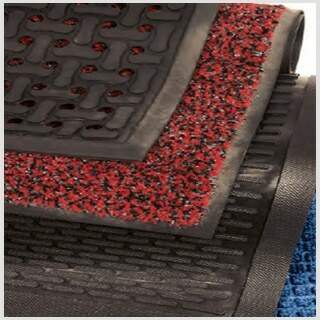 Loyal’s high-performance mats trap and remove up to 50% more soil and moisture than disposable mats. The durable skid-resistant backing enhances safety, helping to protect your facility from slips and falls. Our floor mat service will exchange your soiled mat for a professionally laundered mat on a regular schedule to ensure that dirt is captured before entering the building. Our Urinal mat features an anti-microbial system that is permanently bonded to each carpet fiber, providing effective, lifetime odor control.